In 21st century, with market constraints being leveraged, it is easy to start a business. With limited resources, a team of dedicated people and a niche product that will contribute its bit to the society; you are all set to roll in money……But WAIT! I haven’t spoken about marketing or visibility yet. It is pretty common for young entrepreneurs to jump into the start-up bandwagon with great zeal and integrity, yet get lost in the clamor of “me-too” companies. During my vast experience in the business world, I’ve seen many such promising enterprises sink, rudderless. In a scenario like this, social media comes as a respite. Today, it carries more weight than ever. It’s clearly not a fad, or a phase. It continues to grow as a habit, and new platforms continue to appear and develop. With advancement of time, I’ve noted a huge shift in the tools advocated for visibility. Rapidly, social media has propelled itself up to be one of the most effective Business Intelligence Services, thanks to Mark Zuckerberg and his compatriots. Since the world has come a lot closer, due to the connectivity of web, it is easier for businesses to have a global based clientele. People spanning from Uruguay to Uganda would be sensitized towards your product, unfathomable in our times. Its cost-effectiveness makes it a viable too. When I started as a fresher, social media was emerging and traditional methods were the ones in favor. At present, young entrepreneurs already have social media as an added aid to leverage to ensure cash flow. Here is a crash course in the power of 3 leading social networking platforms, explaining how you can utilize them. Let’s begin with Facebook. Of all the social media channels out there, Facebook is the one that you should target first. It amasses a wealth of mobile users, with the number crossing over 189 million. 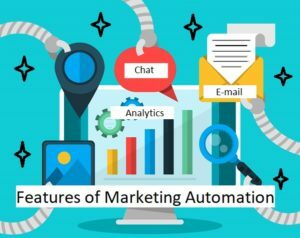 This provides marketers an added advantage of Marketing Automation Tools; as now, they have an option to market their products on a cellular device angle. Opening a page, setting up events, creating polls and buzz centric feeds are the ways entrepreneurs can generate attention needed to boost brands. With Facebook paid-ad portal too, you can easily promote your product at a nominal cost. Next in line is LinkedIn, with its emerging popularity in the business arena. The fact that every second 2 new members join LinkedIn should urge entrepreneurs to make a beeline for this treasure-trove of potential target base. LinkedIn is a rich source of conversation for professionals who want to strongly get their brand noticed. So, make use of this through constant reviewal of your company page and through scheduling posts to keep others in loop. With these features, LinkedIn can turn out to be one of the apt Marketing Automation Tools for Small Businesses as well as corporate giants. The final member of this esteemed triumvirate is Instagram, with its skill to share content in a visual form. A liberal use of hashtags can propagate a solid marketing campaign into a rockstar status. Hence, create more visual content surrounding your campaigns and don’t forget the hashtags. This will ensure that the buzz remains fresh for eons to come. 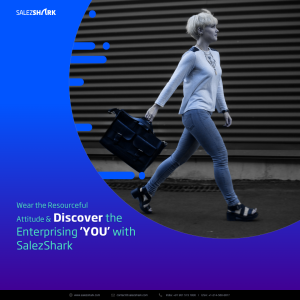 Armed with these inputs, alongside a good Sales CRM Software; you will be poised to make the most without burning a hole in the pocket.